Experience one of the best treks in the world by the National Geographic Adventure Travel Magazine due to its outstanding natural and archaeological scenic beauty. Salkantay or “Savage Mountain” is a spectacular glacier located in south central Peru, rising to 20,574 feet, with great vertical relief, particularly above the low valleys to the north, which are tributaries of the Amazon River. 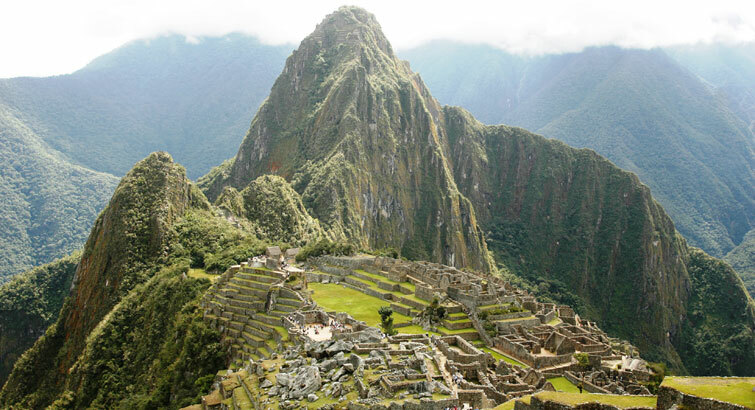 This ‘Off the beaten path’ program is an excellent opportunity to trek this ancient Inca Trail, from the summit of the Andes Mountains to Machu Picchu, considered one of the New Seven Wonders of the World.Discover the spectacular UNESCO World Heritage Sanctuary of Machu Picchu and be witness of its impressive scenery. 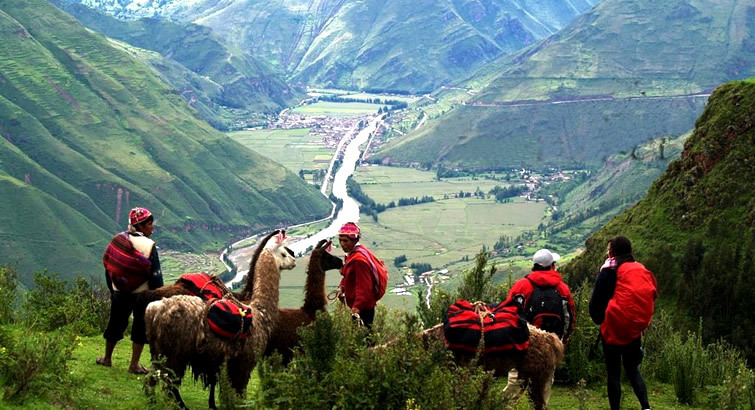 Private transportation from Sacred Valley to Mollepata. Private excursion to Machu Picchu Citadel. Train from Aguas Calientes to Cusco and private transfer to your hotel. 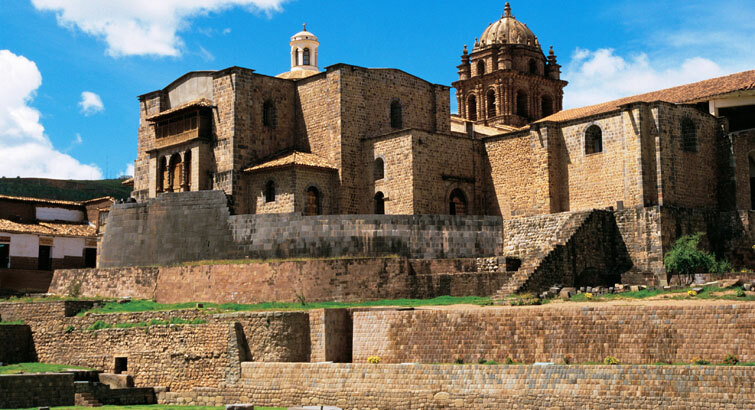 Private transfer from your hotel to Cusco Airport. Assistance at Lima Airport for your international flight. 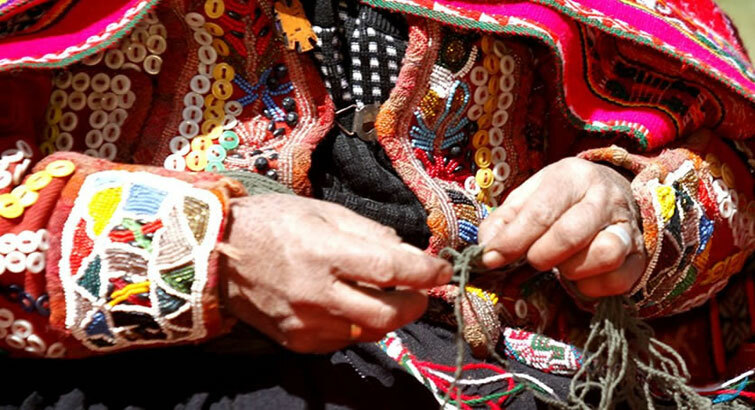 Your private guide will pick you up from your hotel early in the morning and you will be transferred by private transportation to a small village, located high above the Apurimac River, in a beautiful scenic journey of approximately 6 hours. On the way you will appreciate spectacular views of the chains of snowcapped Vilcabamba, the colorful village of Mollepata and the lush Apurimac River Valley. Here, you will meet up with the mules, horses and wranglers that will carry your gear during the trek. You will begin this trek with a gentle climb for approximately 3 hours through more unspoiled Andean river valley of the Cordillera Vilcabamba, hiking steadily upwards to the high plateau. Here you will start trekking a moderate climb up the mountain, following a series of switchbacks called Siete Culebras. After 3 hours, your path leads up the side of a mountain and levels out beneath the shadows of the grandiose Mount Salkantay, which is the highest point of the trip at 15,134 feet. Along the way, you will get your first incredible view of Humantay glacier. As we approach our campsite at Suiroccocha, the enormous Salkantay peak dominates our skyline. This first camp is located at 11,500 feet. Altitude : 4,100 m. / 13,448 feet. 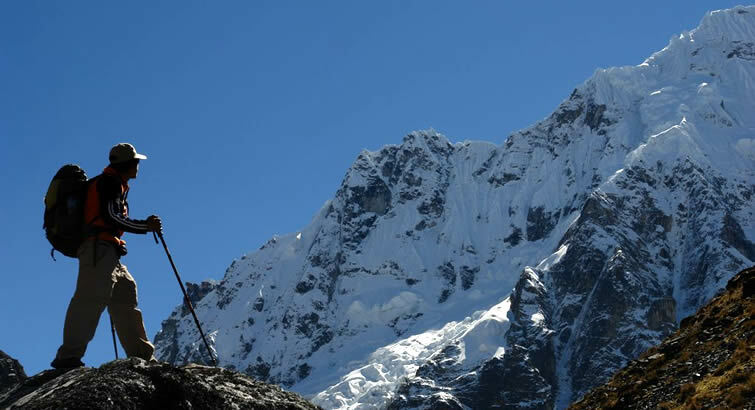 After an early breakfast you will start trekking a moderate climb up the mountain. 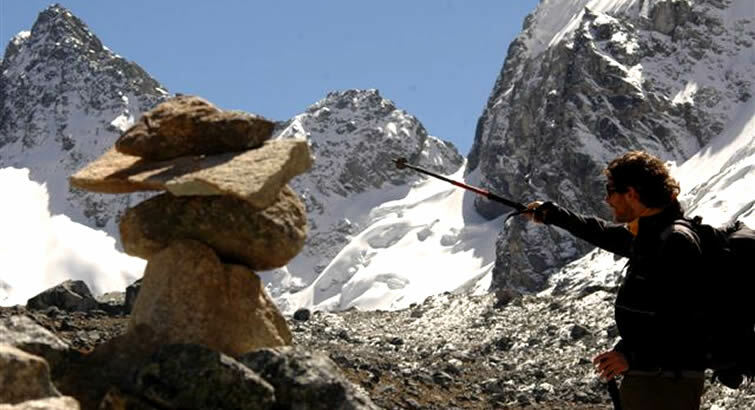 With Salkantay looming above, you come to a summit marked by small piles of stones, or apachetas, left by locals and travelers to honor the mountain gods. Here you will find yourself in the middle of two great mountains: Salkantay peak and Humantay. 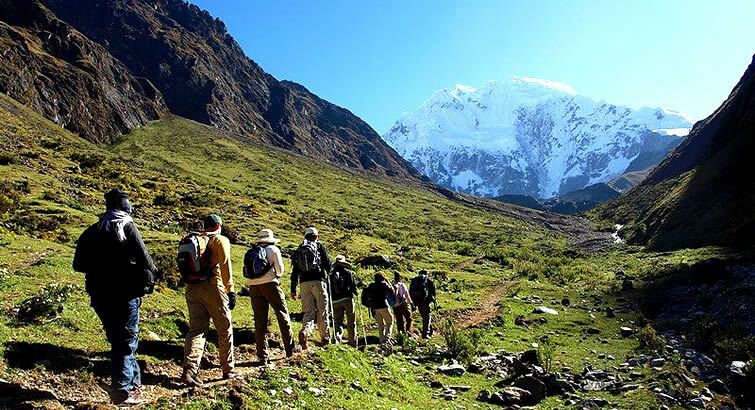 Salkantay is the second highest mountain in the Cusco region, a large, steep peak, with a great vertical relief and you will be very close to it. From this high pass, you will make your way towards the valley below to camp for the night at Colpapampa. Altitude : 4,116 m. / 13,500 feet. After breakfast, you will descend for an hour more to the eastern slope of the Andes into a sub-tropical valley, where the temperature is warmer and where you will see a variety of orchids, birds, flowers and hummingbirds. 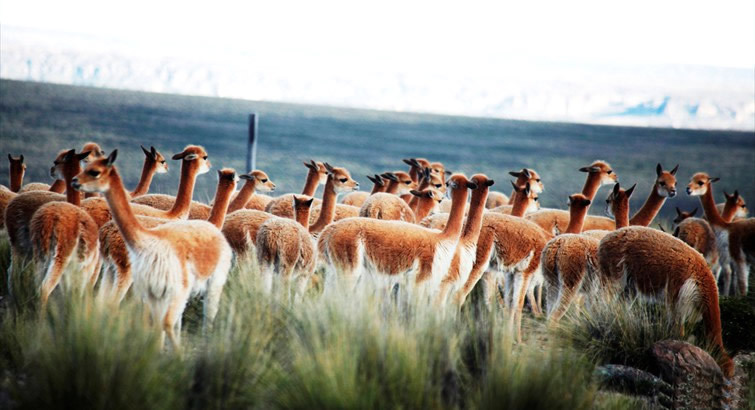 Here you will be able to enjoy the landscapes which offer an unparalleled natural beauty. You will cross the river and as you are walking along the left hand side of the Alto Salkantay River. In comparison to the previous days of the trek, this is easy walking as you descend slowly for 3 hours to the ‘Eyebrow of the Jungle’. As we lose altitude you will encounter bright flowers, butterflies, parrots, and lush groves of tropical fruits, cocoa, and coffee plants. Finally, you will arrive to Playa (8,266 feet), a small village where we set up camp for the night. Altitude : 2,050 m. / 6,724 feet. 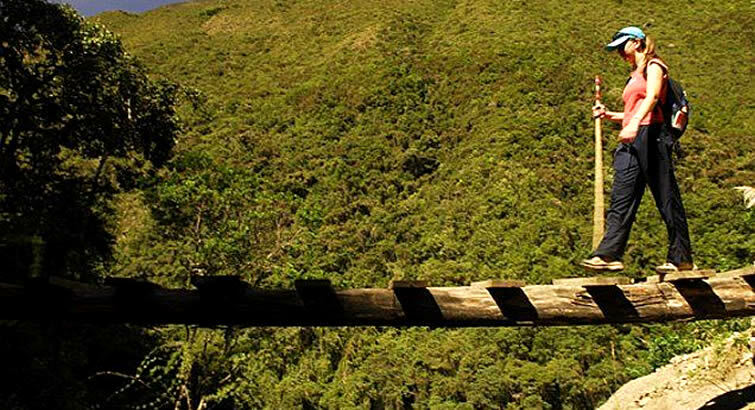 Early in the morning you will continue your trek through sub-tropical vegetation to the village of Lucmabamba, where an original Inca trail remains where you will be able to see coffee, banana and passion fruit plantations and a lovely view of the Santa Teresa Valley. A gradual uphill climb through lush sub-tropical forest brings you to Llactapata (9300 feet) from where you will enjoy a brilliant backside views of Machu Picchu Citadel and of the surrounding peaks from afar. In the afternoon, 2 hours continuous downhill to the Hydroelectric Plant, where you will have the last lunch with our staff. 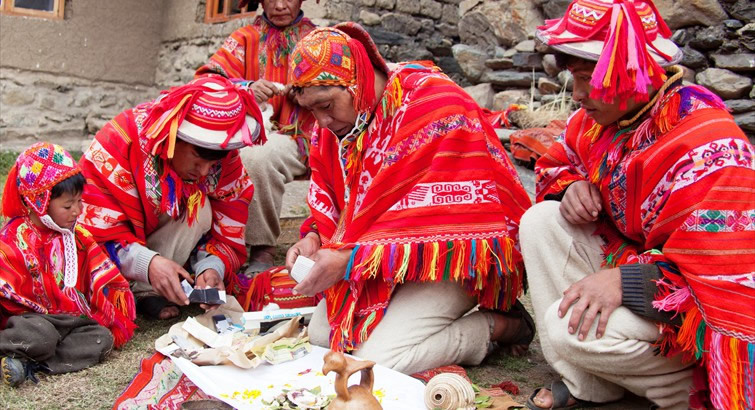 Afterwards you will board the train to Machu Picchu Pueblo where you will spend the night. Dinner and Overnight at your selected hotel in Machu Picchu Pueblo. Altitude : 2,000 m. / 6,560 feet. 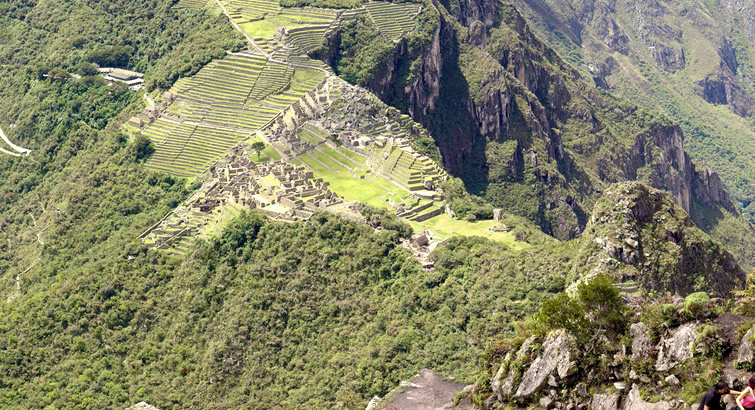 Today after breakfast, you will take the early bus up to the stunning archaeological complex of Machu Picchu. You will explore the enigmatic citadel of Machu Picchu accompanied by your expert guide, who will lead you through the site, providing archaeological and historical information on key areas of interest, including Intihuatana (the Sun Dial), the Sacred Plaza and the Temple of the Sun. Machu Picchu is the most important site of the vast Inca Empire. 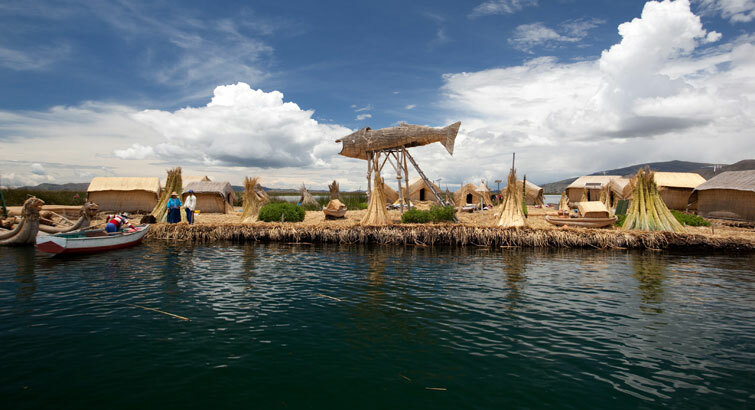 This UNESCO World Heritage site is often referred to as “The Lost City of the Incas” and is one of the most famous and spectacular archaeological complexes in the world – a visit to Peru would not be complete without it. Machu Picchu is considered one of the New Seven Wonders of the World and recently awarded as the Most Ecological Destination in South America. 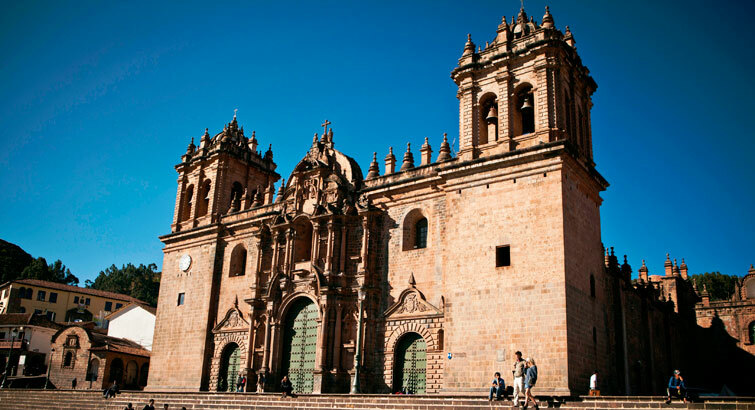 After the excursion, you will head to the train station where you will board the train towards Cusco. Upon arrival at the train station, you will be met by our Guest Services Representative and transferred to your hotel. 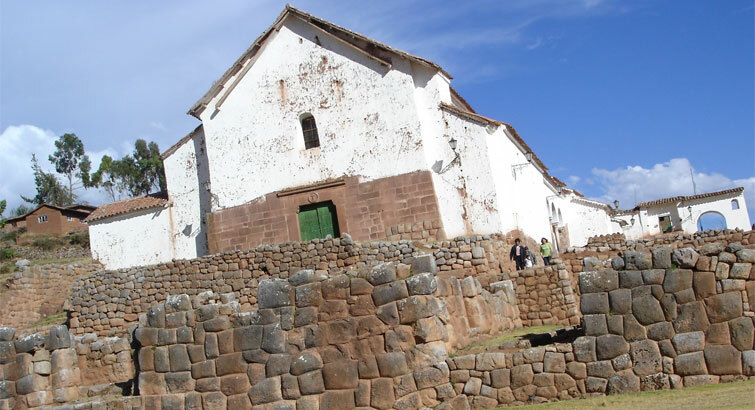 Overnight at your selected hotel in Cusco. After breakfast you will be transported to Cusco airport to board your flight to Lima. In Lima International Airport, our Guest Services Representative will assist you with your departure flight. Weight Allowance: 8 Kilograms per trekker (weights to be carried by mules / horses). Transportation to head of Salkantay trail and to the hot springs. All camping gear (tents, sleeping pads, dinning tent, private chemical toilet tent, oxygen tank). Water proof personal duffle bag for personal gear. At the beginning and ending of each journey warm water available to wash hands and face. Entrance ticket to Machu Picchu and Santa Teresa Hot Springs. 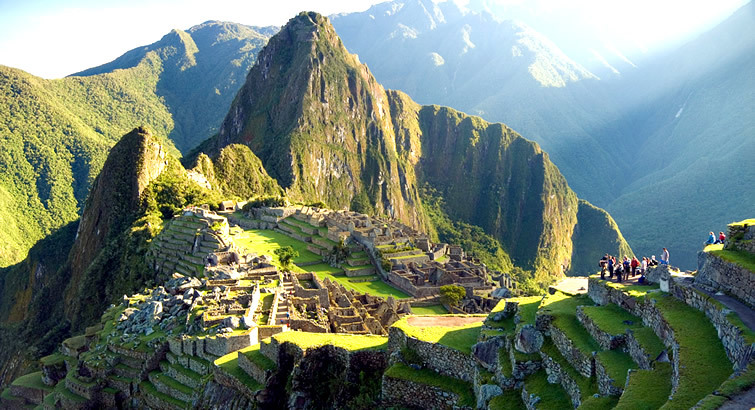 Guided visit to Machu Picchu & bus tickets. Daily drinkable filtered and purified stream running water. Train ticket Machu Picchu Pueblo – Ollantaytambo. Transfer Ollantaytambo train station to downtown. International or Internal airfare and airport taxes. Local hotel taxes (18% V.A.T. is applicable only to Peruvians and Foreign residents in Peru. In order to be exempted, you will need to show your passport and Andean Immigration Card). Personal expenses such as passport or visa fees, excess baggage, gratuities to guides & drivers, telephone or communication charges, laundry, beverages, meals and services not specified. Sleeping bag or other personal equipment. Laundry, gratuities for tour guides, porters or trekking staff. Personal small day back pack (for cameras and personal items to be used daily). Cotton sleeved shirt or t-shirt. Regular underwear, medium weight socks. Light hat or visor, sun glasses, sun blocking lotion. Rain poncho, light wool gloves. Tennis or running shoes and light hiking shorts. A knee and ankle brace are sometimes useful.